We are spoiled by choice in the hybrid camera market today. 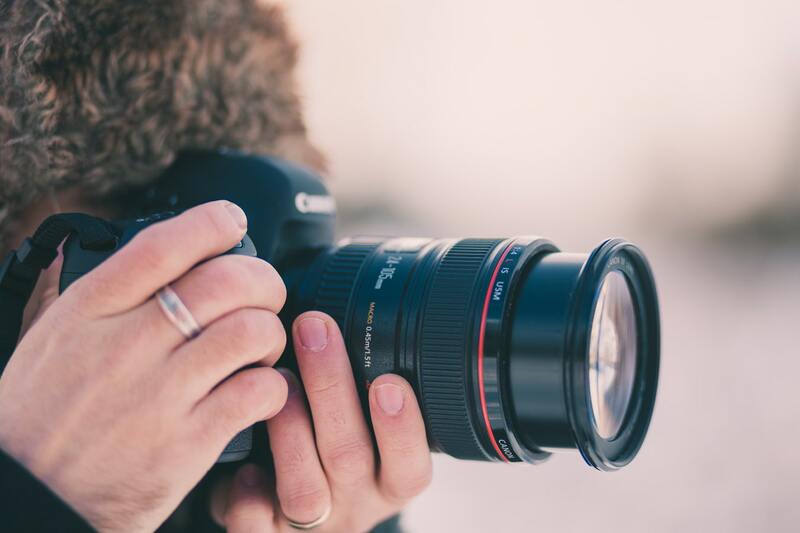 Our DSLRs and mirrorless cameras are increasingly absorbing the functions and features that cinema cameras and prosumer camcorders touted as exclusive just a few short years ago. Cases in point: the Panasonic GH5, the Canon 5D Mark IV, and the Sony a7S II. These three superstars all take different stances on the purpose of a hybrid camera, but all three are indisputably exceptional tools that we filmmakers sometimes take for granted. Each is perfect for someone, but which is right for you? This one shouldn’t be a surprise. Canon DSLRs have always been photography tools first and foremost. The 5D Mark IV of course accepts Canon EF lenses, some of the most widely beloved and available photography lenses available today. It sports a higher megapixel count than the GH5 or a7S II, stronger phase-dection and dual pixel AF, and a battery life that puts the others to shame. This is a workhorse camera, no ifs ands or buts. In a very close second, we have the GH5. Panasonic is angling in on the photography world with this camera, and largely succeeding. Comparing it to the Sony, the GH5 features dual SD card slots, a necessity for secure shoots, a higher megapixel count, faster burst shooting, and faster startup that helps you catch the moment more easily. It loses to the 5D Mark IV on Autofocus, ISO performance, and sensor size. But on image quality and in real-world shooting situations, it comes surprisingly close. All three of these cameras are 4K capable, in what has quickly become the new norm. But not all 4K is created equal, and just because you can doesn’t mean you always should. 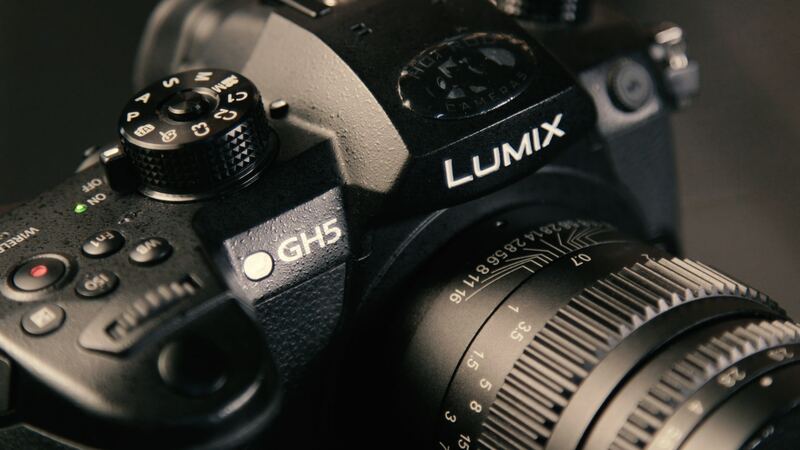 If high-resolution video is your goal, then look no further than the Panasonic GH5. Alone among this cohort of cameras, it shoots DCI 4K in 10-bit 4:2:2, a rare feat among cameras selling for twice the price. And it can do all that at up to 30fps, with 60fps 10-bit available at 1080p too. The a7S II has one advantage, though: it is the only option here for full-frame 4K recording. The 5D Mark IV is also a full-frame camera, but Canon has chosen to center-crop their sensor when shooting 4K. So if you want the widest field of view possible, go with Sony. You will also get a more efficient codec in XAVC-S while you are there. The 5D Mark IV records in a notoriously large M-JPEG format that will have you swapping cards much more frequently than you may be used to. Let’s get right down to it: On this front as well, the crown goes handily to the Panasonic GH5. This is a camera capable of up to 180fps in 1080p and 60p in DCI 4K. The a7S II caps out at 120, and the 5D Mark IV comes in dead last with only 60fps. Log profiles, simply put, are a sneaky way that camera manufacturers have found to cram a whole bunch of image data from the extreme highs and lows of the image into the center of the histogram, and do it in such a way that it can be unpacked later for a much broader dynamic range than you would normally get. The recorded image looks flat as all get out, but can be re-saturated and re-contrasted selectively at a later time. 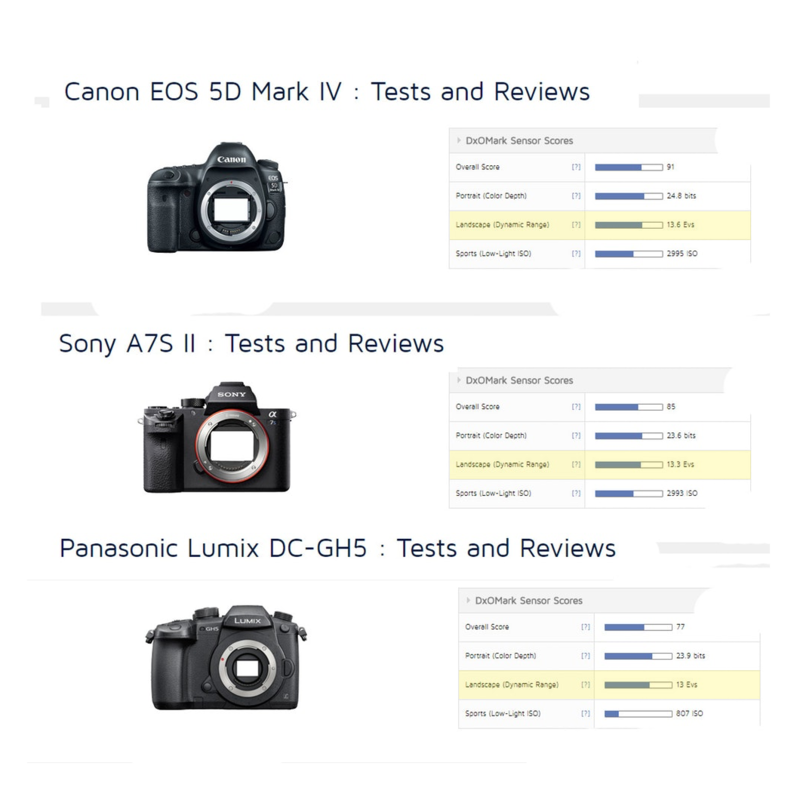 The overall dynamic ranges of the cameras, as measured by DXOMark, are all within half a stop of each other. As such, there are no objective winners and losers here, only options for the discerning shooter. The Sony a7S II records in Slog2 and Slog3, which are both very flat profiles. Slog2 was designed to work more specifically with Sony digital sensors, while Slog3 was designed to mimic the Cineon standard, used to scan film negatives since the 80s. Both feature more color shifting than an amateur colorist might be capable of dealing with, and have a reputation for being a little unwieldy. That said, they are certainly the flattest and most malleable of the options here, so those with some experience or courage may find joy in manipulating the log images from the Sony a7S II. An excellent, in-depth explainer can be read here. The Panasonic GH5 with its V-Log L is fairly comparable to Slog3 in terms of flatness. Keep in mind, this is where 10-bit 4:2:2 recording can be of real benefit. The higher bit depth of the GH5 retains more image detail, which allows for more flexibility in grading than either the Canon 5D Mark IV or the Sony a7S II can offer with their 8-bit codecs. So while V-Log isn’t the flattest of the bunch, it is probably the most robust option if you’re planning a heavy color grade. And lastly, we come to the Canon 5D Mark IV, shooting in C Log. Not C log 2, the super-flat beast, or C log 3, the goldilocks profile. Just the original C log. This is the least-flat profile of the bunch, but it is still a valuable log profile with a unique look. Canon has long had a lock on the best skintones straight out of the box, and C Log is no exception. This is the easiest profile to grade, and the hardest to mess up. If you want most of the advantages of a log profile without all the hassle of a complex grade, then maybe C log on the 5D Mark IV is for you. This seems to be the question of our age: “what’s the usable ISO go up to?” And while usable is a subjective measure, these cameras are far enough apart on the spectrum that we can speak broadly about the strengths and weaknesses of each. The overall winner is, surprise surprise, the Sony a7S II. Philip Bloom’s demonstration of the original a7S melted brains across the internet, and the sequel is just as sensitive as ever. This is a camera that has earned its reputation by being ridiculously sensitive to light, and no camera yet has managed to dethrone it. Simply put, this is the best low-light camera on the market at the time of writing. Before Sony entered the picture, the 5D Mark III held the crown. So it should be no surprise that second place goes to the Canon 5D Mark IV. You will not be disappointed with its performance under almost all lighting conditions. Some users are easily comfortable with results all the way up to ISO 12,800. And lastly, of course, the GH5. While it performs much more admirably than the GH4, consensus seems to have the usable ISO ceiling around 6400, much lower than the a7S II and still not on par with the 5D Mark IV. Intriguingly, just prior to the writing of this article, Panasonic announced the GH5 S - an extreme low-light variant of the GH5 for shooters who want the deeper color-depth with the ISO range more like the A7sii. If you couldn’t tell, each camera has its own strengths, weaknesses, and unique features. The Panasonic GH5 and the Sony a7S II are the undisputed champions of this hybrid camera market on paper, but that doesn’t mean you can underestimate the respect Canon have cultivated for their color science and reliable, sturdy hardware. Just like with any major purchase, you have to try before you buy. Rent one of these cameras from a ShareGrid member and talk to them about the experience of being an owner. After all, ShareGrid is a community - not just a platform. I'm a filmmaker who sets up shop at the crossroads between a technician, a storyteller, and an artist. I enjoy reverse-engineering everything I see, whether that's a popular film, a vintage lens, or a rusty bicycle. I live for that moment when the solution to a once-unsolvable problem snaps into focus; when the purpose of a specific lever or edit or shot becomes clear.